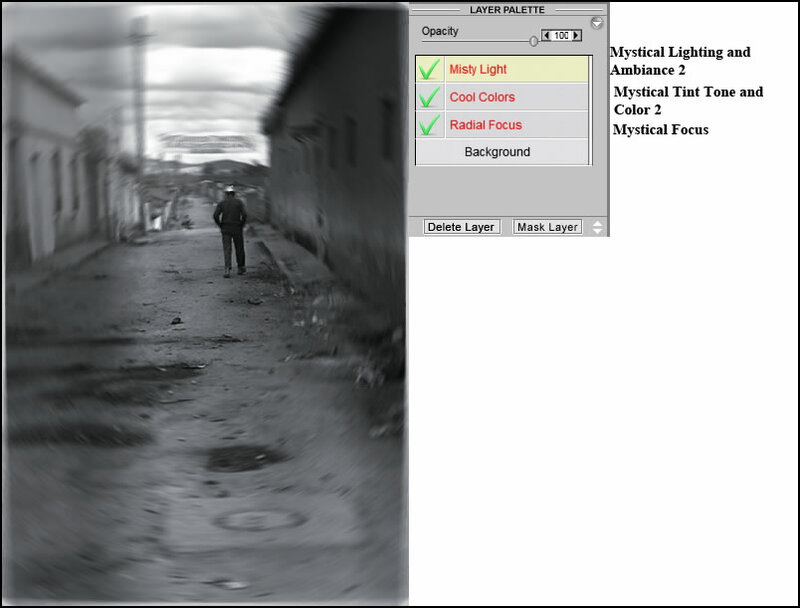 I used Photoshop CS5 on Windows 7 to review Mystical Focus. Mystical Focus allows photographers after-the-fact control of depth of field, panning and motion, tilt-shift focus and other similar effects. These, like in all the Mystical software, can be global or brushed on. 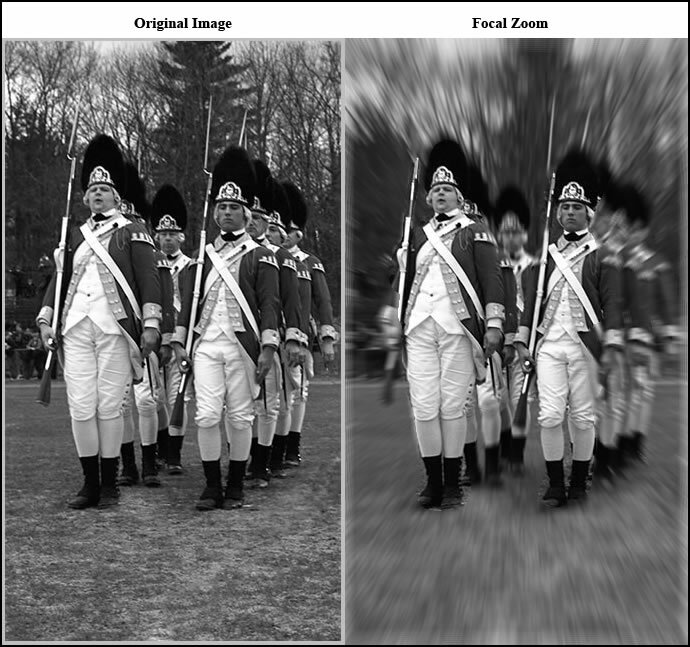 In addition, there are ellipse and path tools to use to place the Effect. Below are the basic type of Effects possible. All have a tremendous number of controls. 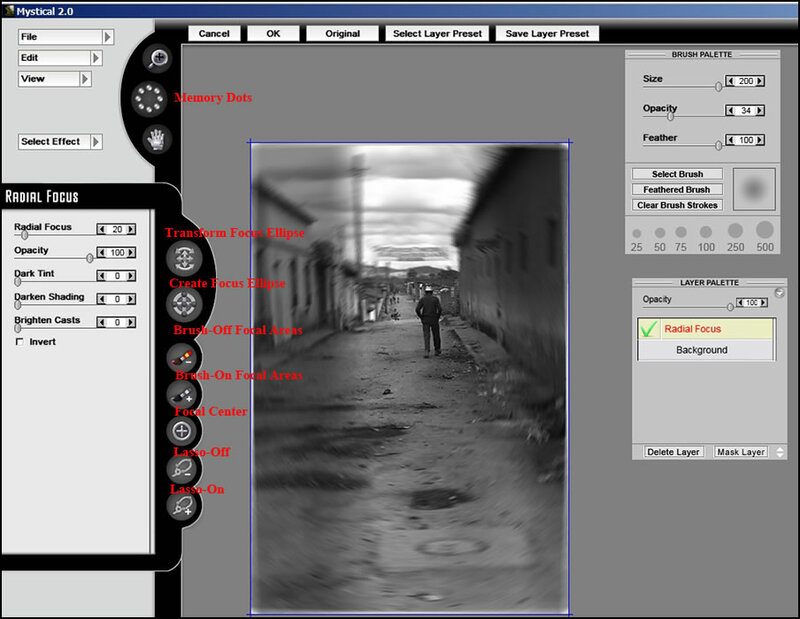 The major controls are on the left, with the brush and layer controls free floating. 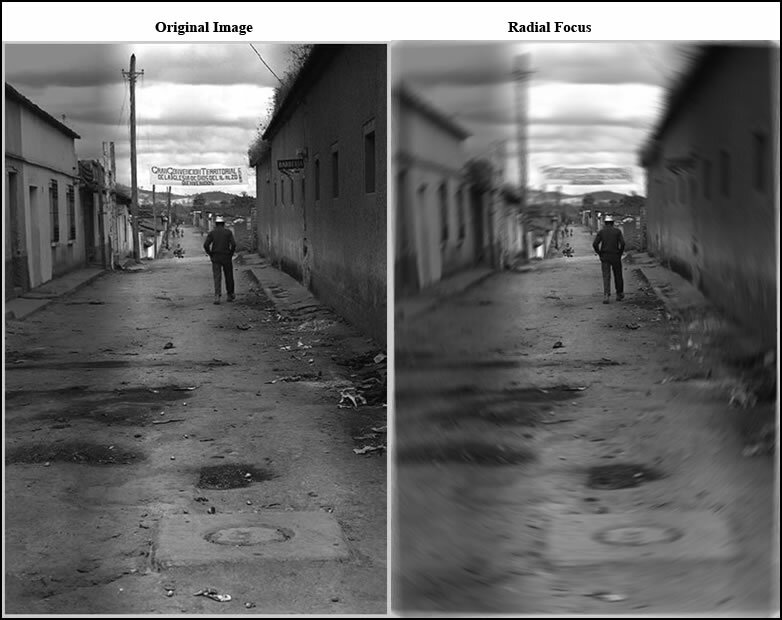 Here is the workspace for the Radial Focus Effect. Notice the number of controls. These will vary depending on the Effect chosen. Often, there are a lot more controls available. If you look at the controls on the left, you will see a lasso and a paintbrush. You can add or subtract the area for the effect. Since I was using a brush here, the Brush palette was activated. In this instance, I could remove the Radial Focus Effect from the person by using either the minus brush or minus lasso. Some Effects ask whether you want them to be global or brush on. Depending on whether you have purchased the Mystical Suite or any of the programs that comprise it, you can draw on all the Effects. In the image below, I used an Effect from each of the components of the suite. I experimented with the Effects from Mystical Focus. 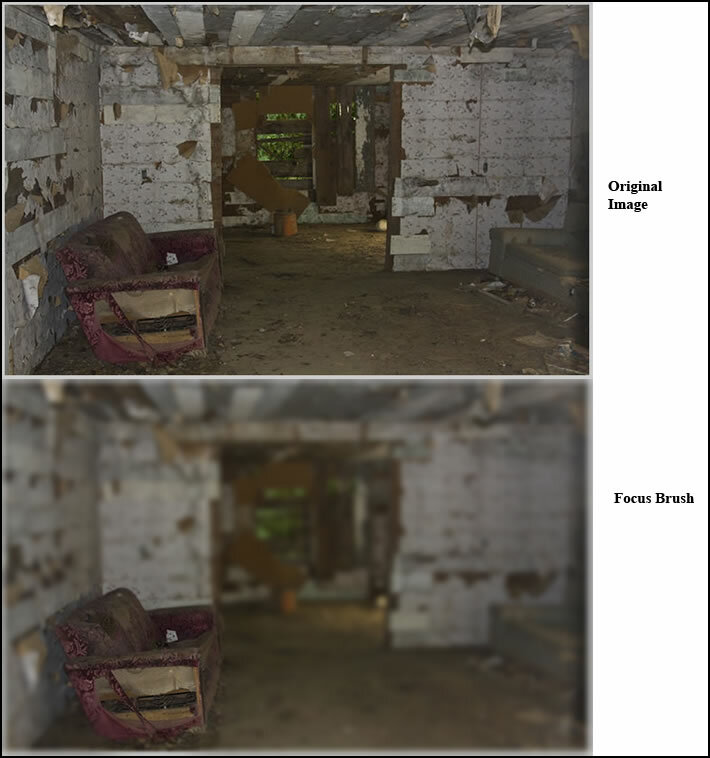 Below are three examples along with the original image. I used images that I had considered finished and used these Effects to change them. Auto FX Software's website shows a lot more effects as well as videos and tutorials. You can, also, download a demo and try it for yourself. The amount of postwork that one can do with these filters is truly amazing. Whether you are working on a new image or modifying one that you previously completed, these Effects from Auto FX Software will add another dimension to your work. I highly recommend this suite. Mystical Focus retails for $149.00 and Mystical Lighting and Ambiance 2 retails, for a full version, for $199.00 and for an upgrade, for $129.00. Mystical Tint Tone and Color 2 retails for $249 with the upgrade price of $129.00. You can also get bundles of these programs and special discounts. When you purchase all of these together you save a great deal for the whole Mystical Suite is only $399.00. In addition to the cost saving, Effects from all these programs can be used together because all are available from the same workspace. More wonderful Auto FX Software plugins can be seen by going to their site at: http://www.autofx.com.